Earlier in the year, I was drawn into reading a really great article on Lip’s website about the essential brainwashing of stereotypical gender roles in babies from the word go. It really got me interested in taking more notice of the point in daily life, and the cold, hard facts of just how true this article really is hit home very quickly, and very disappointingly. For me, this evidence was not particularly hard, or something I had to hunt down like an explorer. I have a very young niece and nephew, and whenever I’ve gone to buy something for them, I’ve either been left feeling rather dizzy and like I’ve gone for a swim in fairy floss by scouring through the ‘pink is for girls’ section of the shop; or, conversely, swamped with machinery and violence in the ‘cars, trucks, planes and other machinery is for boys…oh and so are guns and other weaponry’. This binary is made more and more stark once you actually start to pay attention to it. Furthering this binary was also made easier for me in my working life. I work in a sports store, exclusively selling merchandise and products for the AFL. I am too often confronted with customers who express disappointment at their daughters’ interest in or passion for the game; some even going so far as to suggest that maybe they’d prefer a product from Smiggle or Supre instead of the football they’re begging for, because you don’t really want a football, do you princess? Sometimes, it’s incredibly hard to maintain a calm and friendly demeanour in these situations, and not to radiate waves of judgements on just how far the gender binary has radiated through society, and has forced implication on young children. Late last year, as was also publicised on the Lip website, Swedish toy company Top Toy, a franchise of Toys R Us, released a Christmas catalogue advertising toys as completely gender neutral – the catalogue showed boys holding toy babies and girls playing with guns and swords. This progressive and positive catalogue garnered international attention, showing that it is possible, despite generations of advertising telling us otherwise, to market toys in a gender neutral way, without emphasising that certain toys are for little boys and others are for little girls. Top Toy’s Christmas catalogue release did little to endear us to the Australian Toys R Us Christmas catalogue, which presented old-fashioned and out-of-date ideals, with girls dressed as princesses holding baby dolls, and boys dressed as superheroes playing with tools and cars. It highlighted just how far behind Australia was, and how expectations of widening the gender gap are targeting, and limiting, young children. Recently, Toys R Us has succumbed to mounting pressure, and has agreed to drop sexist marketing and gender stereotyping of its products. This is largely due to wonderful groups such as Let Toys Be Toys, whose relentless campaign is centred on asking retailers, such as Toys R Us, to stop limiting children to toys that are advertised and promoted in-store as gender specific, instead allowing children the freedom to play with whichever toys they choose, rather than the ones that they supposedly ‘ought’ to select based on gender. 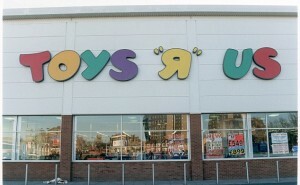 Toys R Us have committed to change not only their advertising, but also any in-store mentions of gender. 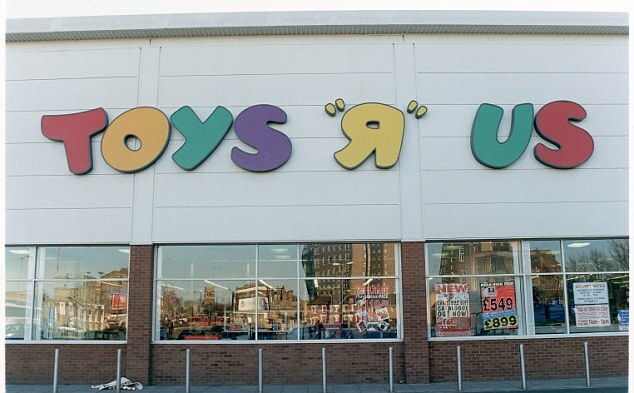 In this promise to consumers, Toys R Us are now following in the footsteps of Sweden’s Top Toy, the United Kingdom’s The Entertainer, and America’s TK Maxx in eliminating gendered products for children. All of the arguments which have been put forth make clear sense and only have the intention of creating a society founded on equality from the get-go. After all, why brainwash children with outdated notions about gender when they should be busy learning and having fun with toys of their own choosing? Sadly, though, the comments on the news website The Daily Mail in relation to this news tell a different story. Some members of the public have commented on the story saying that this move is ‘political correctness gone mad’, perpetuating stereotypical views (one comment reads ‘Boys are more aggressive, more dynamic and usually stronger than girls. Girls are softer, more caring, and more naturally giving than boys. The toys reflect these truths and trying to have a fit all is nonsense’) and general derogatory comments denigrating feminism and the work that Let Toys Be Toys does. This just goes to show that campaign groups still have a lot further to go before they can convince the general public. But, colour me yellow on this decision – gender neutral, and generally happy and positive for what it means for kids. This entry was posted in featured, News and tagged gender, News. Bookmark the permalink.